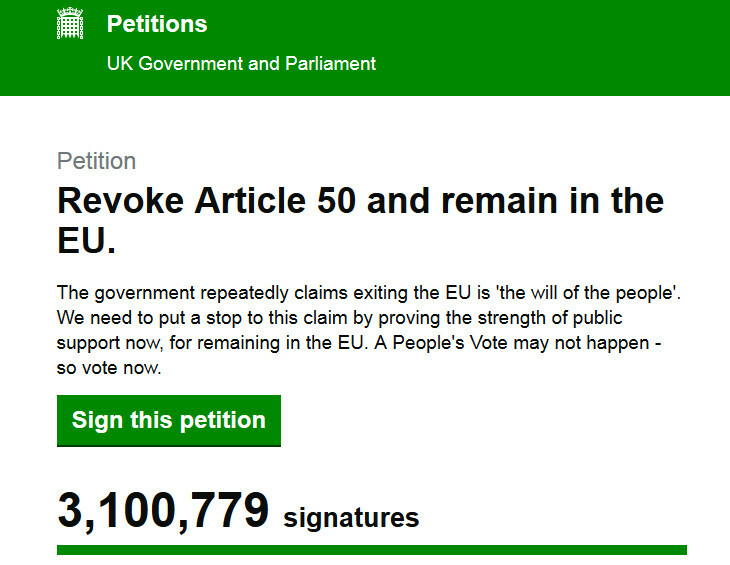 A petition on Parliament’s website calling for Brexit to be cancelled by revoking Article 50 has passed more than three million signatures. Still to sign it? Then head over to petition.parliament.uk/petitions/241584 and do it! P.S. You need to be a British citizens or UK resident to sign.